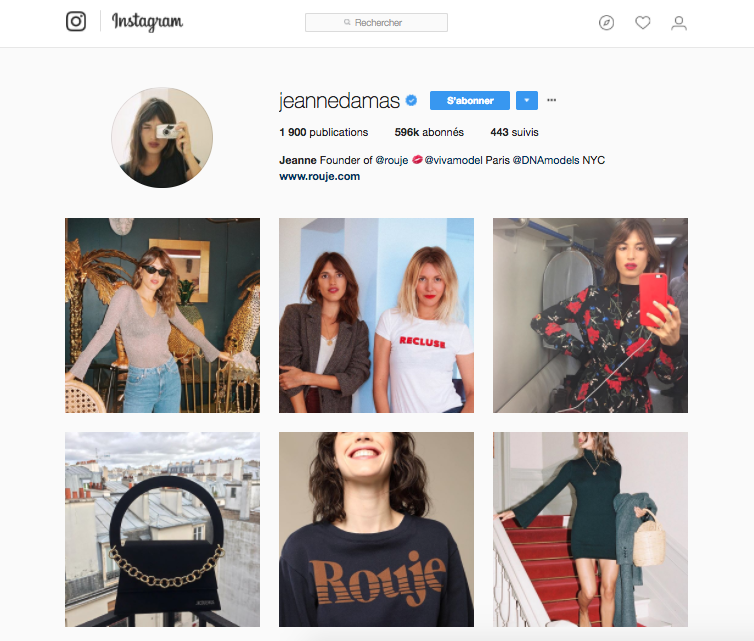 Jeanne is a Parisian Influencer, model, great Friend of fashion Designer Simon Porte Jacquemus, actress and founder of the brand " Rouje ". She is Social Editor for L'officiel Paris and Parisian Influencer ! 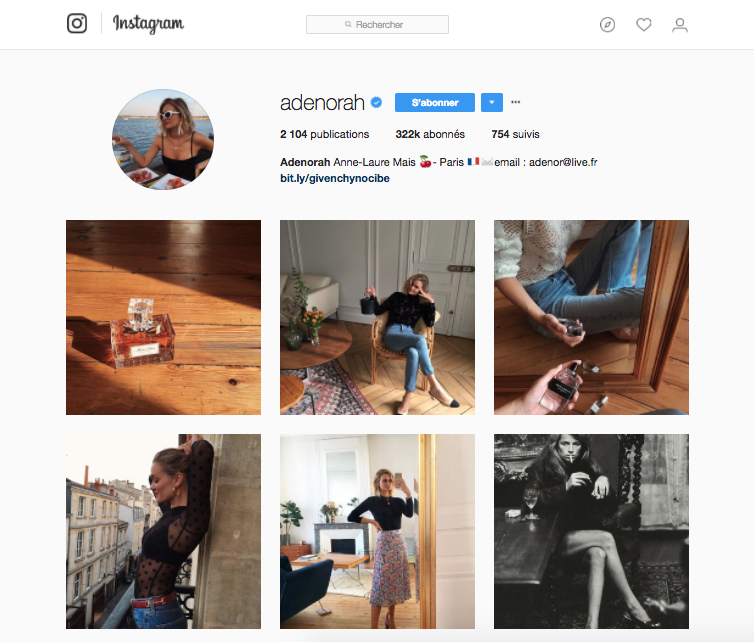 Adenorah or Anne-Laure mais is a Fashion Blogger and influencer followed by more than 300k in Instagram. We love : Her simplicity and her look always chic and casual, travelling with her and discovering all her work as fashion designer always successful such as her collaboration with Léon & Harper brand. "The most simple moments are the best"
Louise is a Parisian influencer and model. Still followed by more than 100K in Instagram, Louise is reminiscent of the Iconic Jane Birkin with French style on point ! 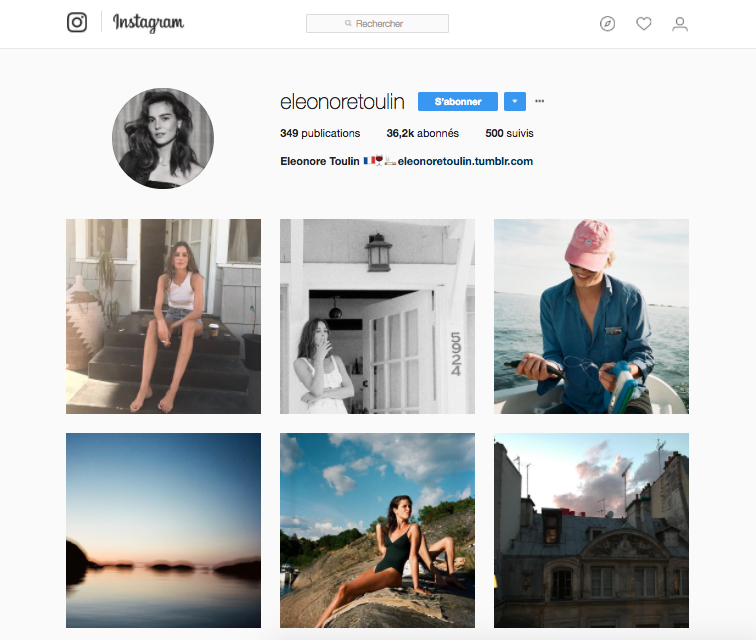 Eleonore is, like Jeanne damas a very good friend of the Fashion designer Simon Porte Jacquemus, she is model and influencer. She has always walk for the greatest, such as Chanel and pose for Jalouse Magazine or Zara and Chloé Brand. We love : Her Natural beauty and accessible attitude !